by Mike Gonzalez: Cuba’s release of American hostage Alan Gross is to be welcome. Gross has vegetated in a Cuban jail for five years for the crime of bringing computers to Jews on the island. But exchanging three hardened Cuban spies for him establishes a wrong moral and legal equivalency. Worse, extending recognition to Cuba’s dictatorial regime harms U.S. national interests and fails to advance freedom in Cuba. The White House “Fact Sheet” on Cuba makes clear that the Obama administration received nothing in exchange for its many and substantial concessions to Havana’s Communist regime. In essence, after five years of “negotiations,” the White House ended up where Raul Castro started: Gross would be exchanged for three Cuban spies whose activities led to the death of an American in the 1990s. The administration’s announcement that “the president has instructed the secretary of state to immediately initiate discussions with Cuba on the re-establishment of diplomatic relations with Cuba,” also gives in to a longstanding Castro demand. Cubans will not gain freedom of expression, of association, of thought or of anything else as a result. Moreover, the White House’s explanation that it was acting because “U.S. 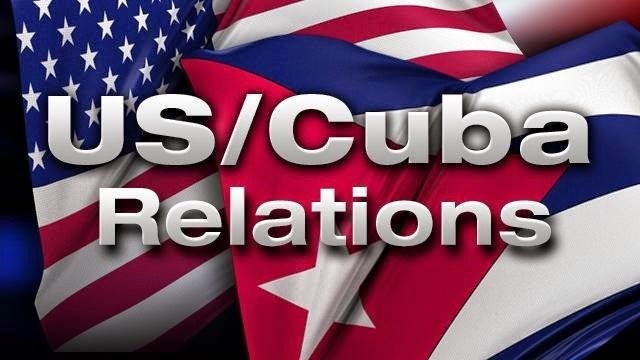 policy towards Cuba has isolated the United States from regional and international partners,” shows degrees of fecklessness that should put fear into Israel and other allies for which American support brings condemnation of the U.S. at the United Nations and other international fora. Senators also should make clear they will not allow the appointment of an ambassador to Cuba to proceed until there have been changes on the island and look into the possibility of using policy riders in the upcoming Department of Homeland Security appropriations debate in February and the fiscal year 2016 appropriations process to deny the president funds for setting up relations. Mike Gonzalez (@Gundisalvus), a senior fellow at The Heritage Foundation, is a widely experienced international correspondent, commentator and editor who has reported from Asia, Europe and Latin America. He served in the George W. Bush Administration first at the Securities and Exchange Commission and then at the State Department. Tags: President Obama, Cuba, lifting embargo, embargo, Congress To share or post to your site, click on "Post Link". Please mention / link to the ARRA News Service. and "Like" Facebook Page - Thanks!